We used these 1 year old trees as a experiment because they are much easier to carry up the mountain and easier to plant in small cracks and otherwise inaccessibly places for the bigger trees. It will be interesting to monitor the success of these 1 year old trees! The map below shows the trees planted in 2013 with the red icons showing the location of the 1 year old trees and the yellow icons the locations of the 2 year old trees. 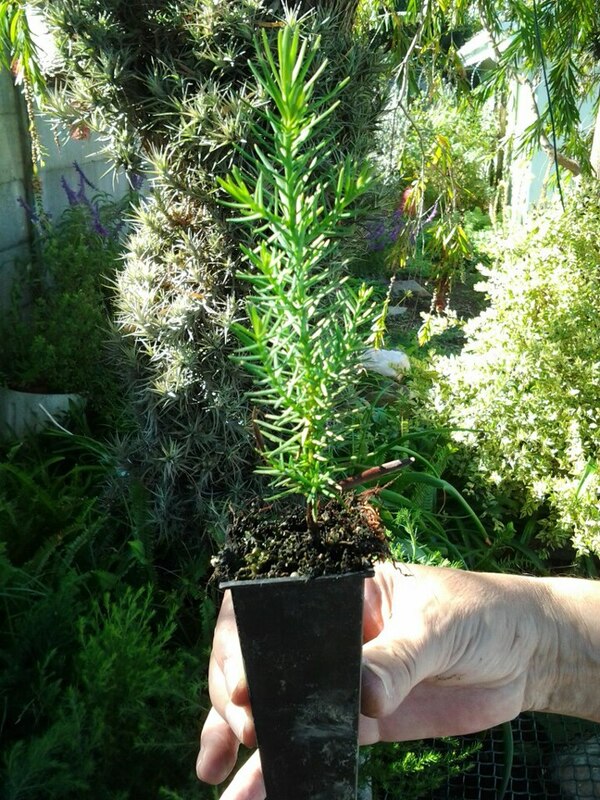 We have again negotiated for trees to plant in the Boontjieskloof area and thanks to Cape Nature and Just Trees in Paarl a team of about 10 people will be carrying the trees up to Boontjieskloof to plant them on the 19th of May 2013. Boontjieskloof is in the northern Cederberg close to Wupperthal and about 4km hike from Grassvlei at about 1050M above sea level. 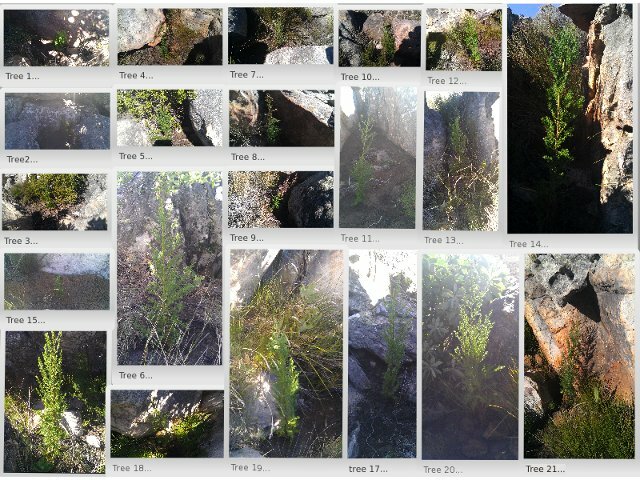 Boontjieskloof previously had a population of 2 adult Cedar trees that could be easily reached. Both these trees were in good condition and were producing seeds but no new cedars have been observed in Boontjieskloof in the past 8 years. Cape Nature http://www.capenature.co.za has for some years been replanting cedar trees in the Heuningvlei area and during the 2012 cedar planting some members of 1st Strand Scout Group indicated to Cape Nature that the scouts would be interested in planting trees in the Boontjieskloof area as part of our community service. After some negotiations it was agreed that The scouts could get 20 cedar trees to plant in the Boontjieskloof area. It was agreed that the 1st Strand Scouts would not only plant the trees but also provide yearly feedback on the trees planted.